Take note of the sample size, time period, region and any other details given to familiarize yourself with the CONTEXT of the data! Sorry for all the exclamation marks 😉 It’s just that i’ve seen these kind of charts being misinterpreted so many times, not only online but also by trained historians. 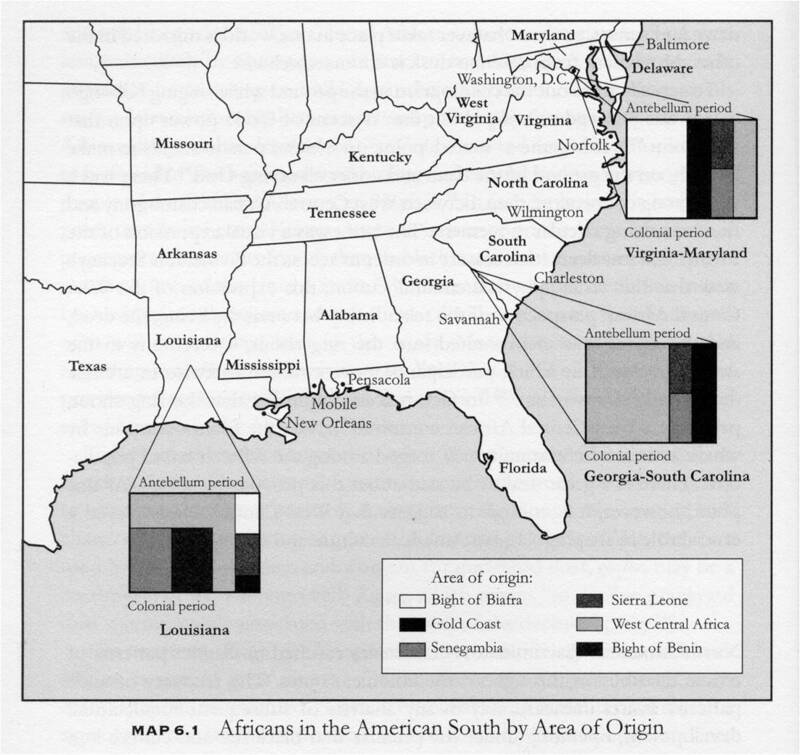 Which is a shame really because misleading conclusions can easily be avoided if you just take these charts for what they are: sample based data which might provide us with extra clues about the ethnic composition of Africans being taken to the USA during a given time period and for a given place/region. All depending on how representative the samples might have been. 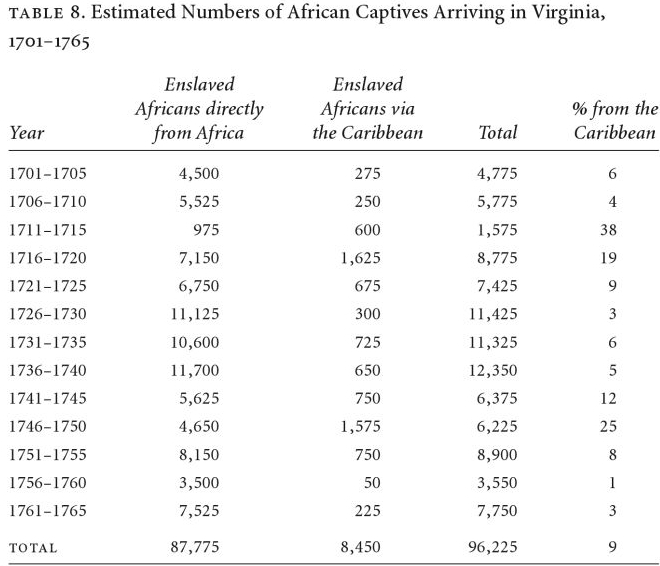 Source:”Beyond the Middle Passage: Slave Migration from the Caribbean to North America, 1619-1807″, : (G. O’Malley, 2009), The William and Mary Quarterly, 66, (1), 125-172. 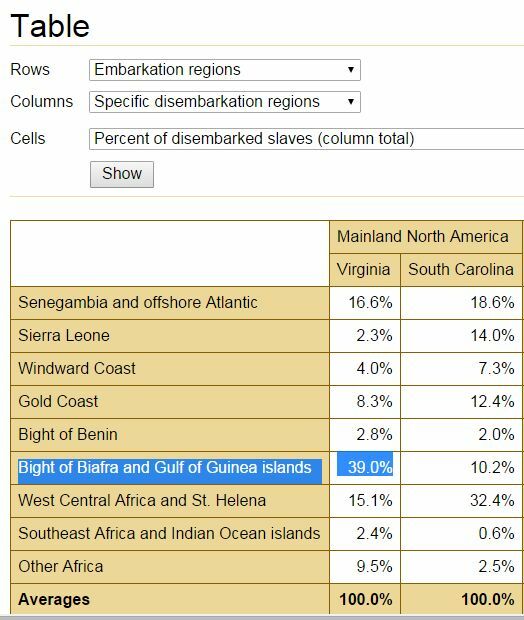 Keep in mind though that for some states inter-colonial (West Indies) & domestic slave trade (VA & SC) might be of equal or even greater importance. My DNA says iberian peninsula, congo. 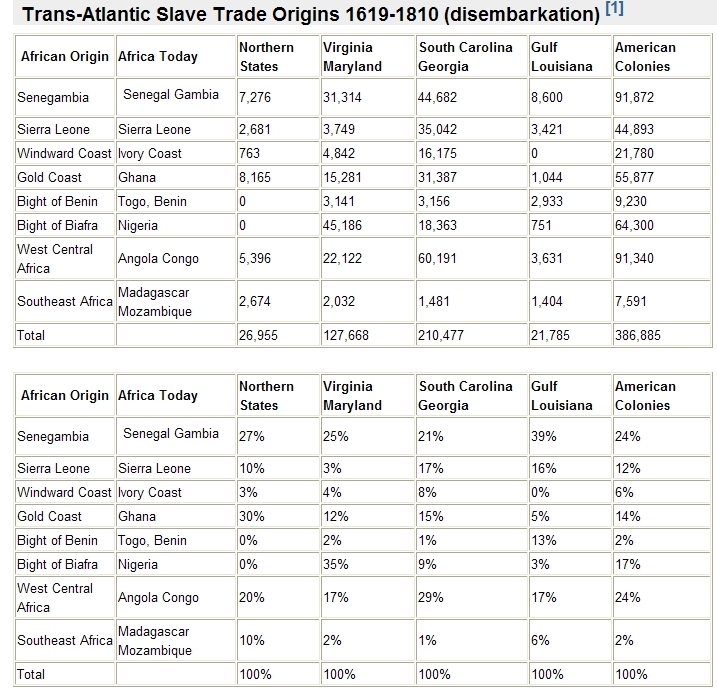 How / where do I search for the likely source / departure point of my slave ancestor? We are talking arrival mid/ late 1700s to early 1800s. Ive been at this for a while but am going crazy with so much info, not applicable. Hey FonteFelipe. I was wondering if you could give me a little insight into my results. I’ve been reading your site for a while now and just wanted to have your opinion what I’ve found. 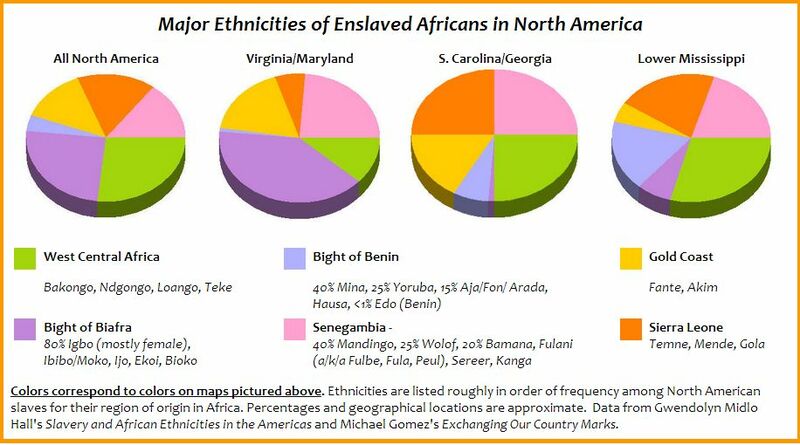 I’m a AA which I can confirm that my family is from South Carolina, USA but I think I have at least partial Hausa/Fulani background. My highest results are Nigeria = 38% Senegal + Mali 19% and Ireland + Great Britain + Europe West = 16%. 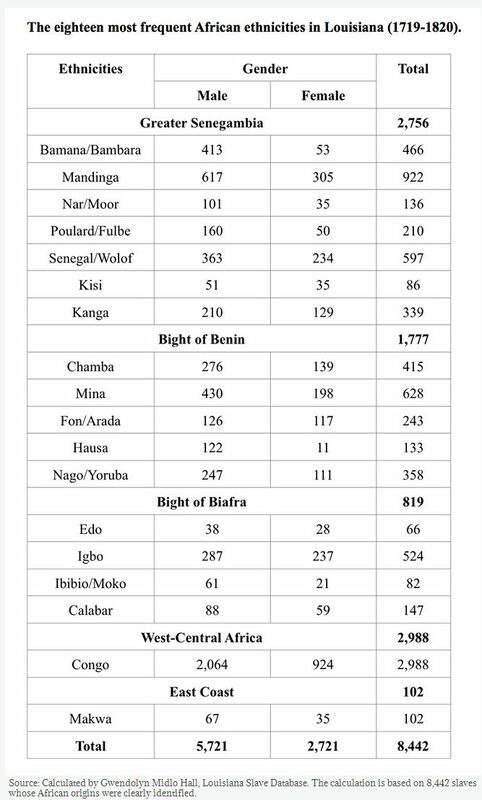 From having seen the African matches of more than 50 African Americans already and also based on my review of historically documented ethnic references of African captives in the US i would say that the odds of having any Fula and Nigerian Igbo lineage are much greater than having any Hausa lineage. But again you will need additional clues to confirm. Okay I can list the entire list of results. I’ve traced one distant relative who is a Jalloh from Senegal. I’ve spoken with many Fula from Guinea who verified that Jalloh is a Fulani last name. That was the only semi-concrete evidence that I could find to support my findings. What part of South Carolina are you from? 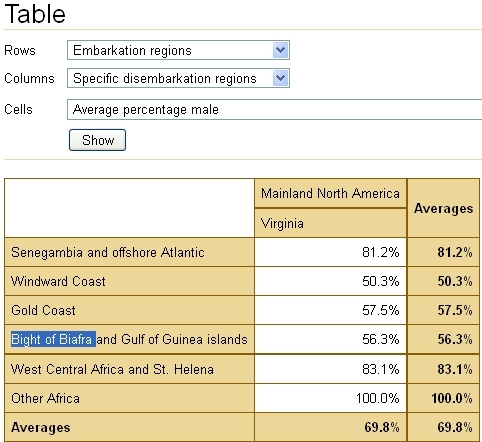 The planters in South Carolina had a distaste for “bight” slaves because they were a liability. There was also the issue of malaria, thus they targeted slaves who had a natural immunity to malaria which is very well known about Fulani. There was also a large Indigo plantation in the Barnwell/Aiken area. In that particular area, there were a few Tuareg slaves and could have been some Hausa because of their experience with indigo. There was no on the job training. They targeted slaves who had the knowledge. Hey! Well I’m from North Carolina but some of my family is from Horry County & Beaufort, SC. My uploaded my results into Gedmatch ran almost every test (which was relative) to get a general picture of how my DNA is put together and 90 % of the time (excluding the AA result) it keeps showing Nigerian Hausa or Fula with a secondary population of either Libya or Morocco and sometimes Egypt. Can someone break this down for me? It sometimes feels like my background doesn’t quite fit the narrative for AA descended slaves. Well again I would say that finding actual Hausa or Fula matches would be the best way to confirm. From what I’ve seen Gedmatch is no way reliable to pinpoint specific ethnic lineage for Afro-Diasporans whose ancestry is by default very intricate and therefore tricky to entangle. To be honest I have never taken much notice of Gedmatch and other third party websites because I found their ancestral categories not up to par with AncestryDNA (before the update). Going by other people’s reactions I also find Gedmatch to be highly confusing and potentially misleading because of the way their results are presented as seemingly very “precise” and “specific”. When in fact such a presumed accuracy cannot be attained with current DNA testing technology. AncestryDNA’s country name labeling may be misleading as well, but on a different scale I would say. Especially since they do mention the limitations of their “estimates” and also quite clearly illustrate the inevitable overlap through their regional maps. The labeling of ancestral categories is trickier than many people may realize. But I find it more reproachable when false hope is being generated of pinpointing a particular “tribe” based on the ethnic labeling of DNA scores which again are merely based on some measure of genetic similarity with a given selection of samples and not actual genealogical descent! The shakiness of these Oracle predictions is best revealed by simply experimenting with other calculators. You will quickly find that each time different results will appear. This variance being caused by the particular tweaking of algorithm and constellation with other reference populations! In other words nothing exact about it! 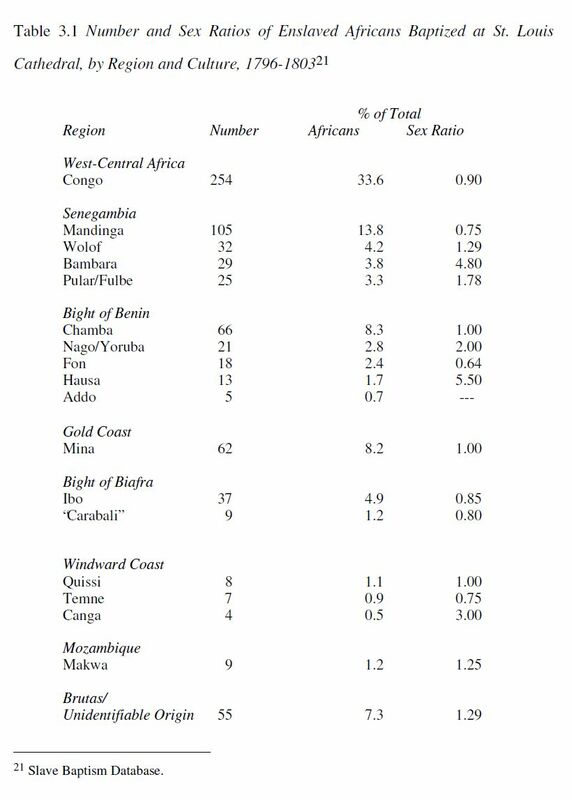 And not really even indicative I would say going by the Gedmatch results of actual Africans I have seen which were usually off.